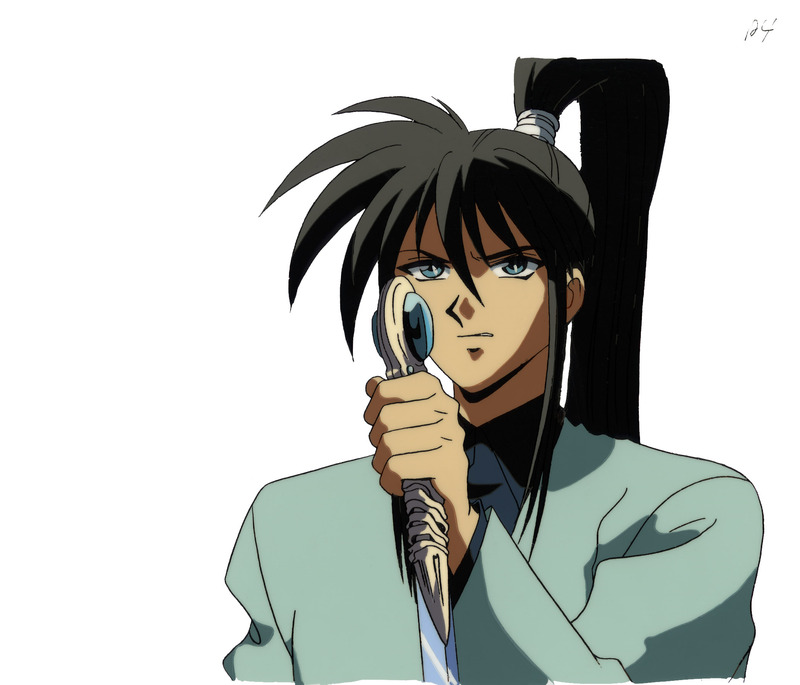 I grabbed this cel because I liked Mikagami's "this is my sword and I'm not afraid to use it!" pose. 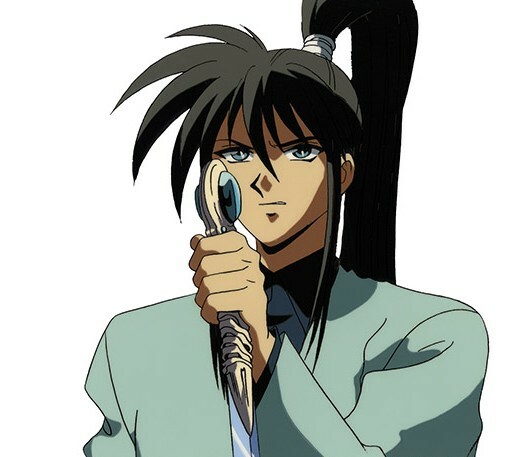 Flame of Recca is often a pastiche of ideas from other animes, but it's a likable pastiche. I was rather taken with the idea of a sword made of water.